Hello: I'm a Brazilian/Spanish documentarian. I have a small, but crucial doubt and I would appreciate if you give help me with your experience. If I make a documentary which will tell the story about a certain song (from 1928), in a journalistic way, with a lot of interviews telling when it was wrote; who wrote that; where it was premiering, who recorded it and etc, have I to ask permission or pay any royalties for that? Or, in another words, journalistic documentaries need permission from the reported, persons, or songs? In the United States, works created in 1928 can still be covered by copyright protection, if the owners did things right. So, using the song without permission will probably be deemed copyright infringement. It’s possible that the use could be deemed “Fair Use”, which provides a defense against infringement claims, but that determination requires a complex legal analysis of four factors established by the Courts. The mere fact that that the film is a documentary addresses only one of those factors, and doesn’t resolve the issue. In almost every instance licensing the music is less costly than hiring lawyers and fighting a copyright infringement lawsuit. So, the best practice for such situations is to obtain permission, in the form of a license to use the song. Especially since it’s likely the song will be played several times during the course of the film. It’s also important to remember that when using music, there are actually two copyrights to consider. 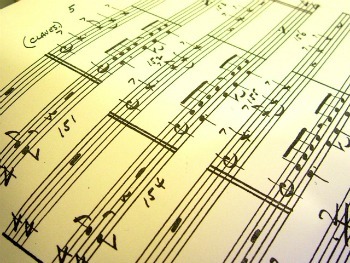 First is the musical composition itself, which is typically controlled by one or more music publishing companies. Second is the copyright in the sound recording(s) embodying that composition, typically controlled by the record company. So, if you’re using three or four different artists’ versions of the song, you’d need permission for each recording, as well as the composition. Mr. Firemark is an entertainment attorney based in California and also teaches Entertainment Law in Columbia College Hollywood's film program. He's the producer and host of Entertainment Law Update, a podcast for artists and professionals in the entertainment industries and the author of The Podcast, Blog and New Media Producer’s Legal Survival Guide. In addition, you can download Firemark's Starter Pack of Legal Forms & Contracts for Documentary Filmmakers offered exclusively here on Desktop Documentaries. This content is not intended to be used as a substitute for specific legal advice. No recipient of this content should act or refrain from acting on the basis of content without seeking appropriate legal advice or other professional counseling. Got a follow-up question or comment about this legal question? Join in and write your own page! It's easy to do. How? Simply click here to return to Copyright Questions.